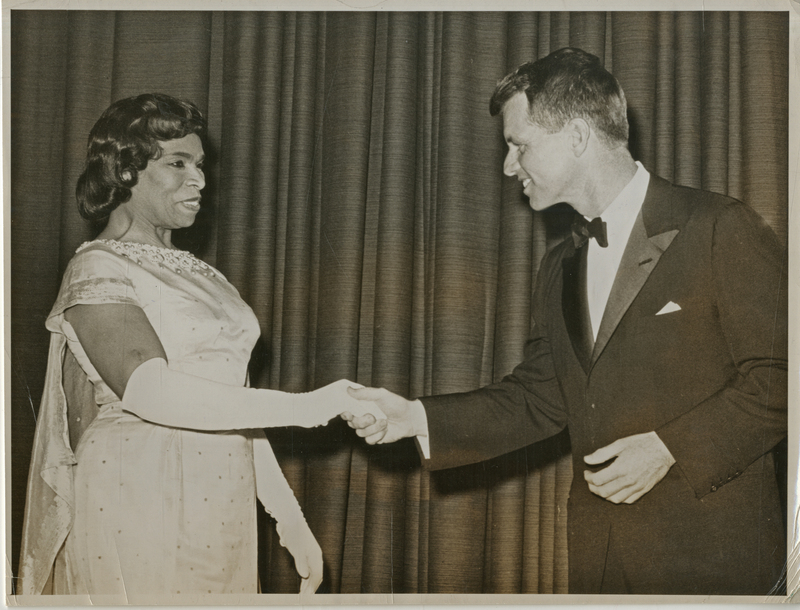 Performance of An Evening with Marian Anderson at the State Department Auditorium. International, United Press. 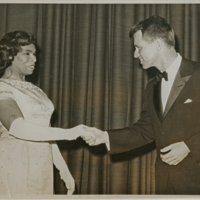 “Music at the State Department - AG Robert Kennedy greets Marian Anderson.” Marian Anderson Collection, MS 068. 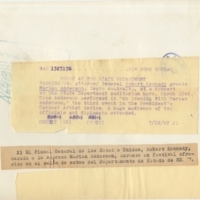 WCSU Archives, 5 Apr. 2018. 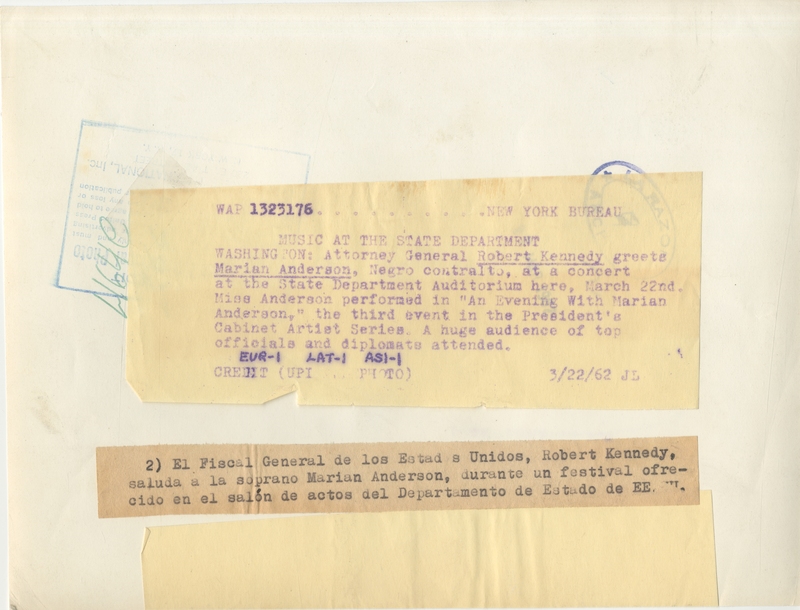 Accessed on the Web: 22 Apr. 2019.